I had lofty goals for my life when I was a kid. When I was in the fourth grade I wanted to win an Olympic Gold medal for downhill skiing. When I got in to middle school I went from a Gold Medal in skiing to a Gold Medal in swimming. Let’s just say I was obsessed with the Olympics. I was also obsessed with building houses with Legos and was convinced that being a Lego Engineer would be in my future. Unfortunately I did not win any Gold Medals or become a Lego Engineer. I still tote my Legos around from my childhood as I move from place to place. I pull them out occasionally and build something, because you know the rule if you don’t use something every 6 months you should get rid of it and it will take a lot for me to part with my cherished childhood Legos. 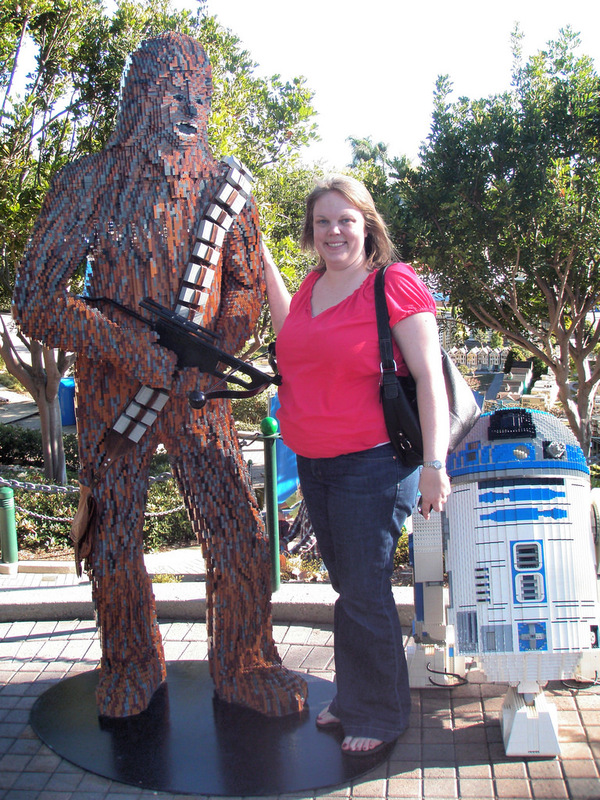 While visiting my friend Meg in California it was only natural for me to visit Legoland. It had been high on my list to visit for many years. I will throw this out here now, this park is geared more towards children than adults. If you are an adult who does not have children, like myself, you have been warned. The park is still fun but unlike Disneyland rides that are fun regardless of age, Legoland’s rides are less than thrilling for anyone probably over the age of 7. For example this was the“fast paced” ride on Fairy Tale Brook. 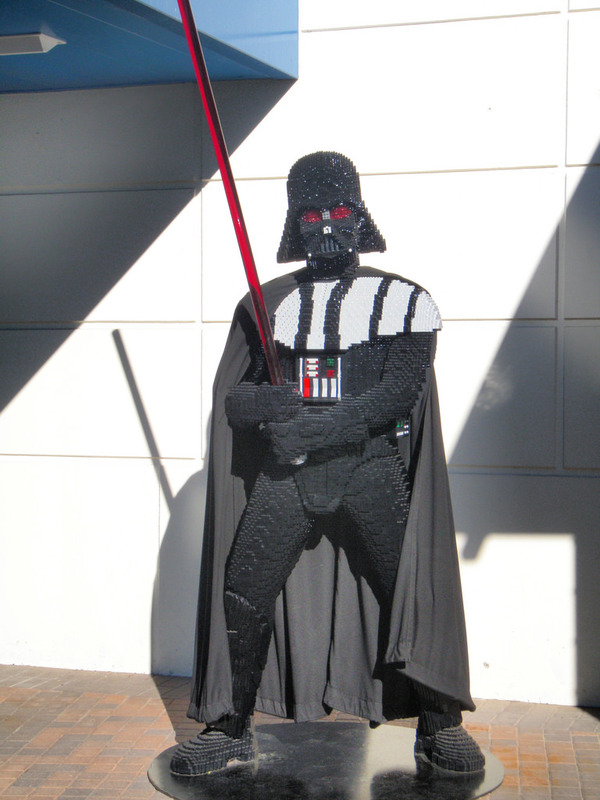 My reason for visiting Legoland was not for the rides but for my love of Legos. 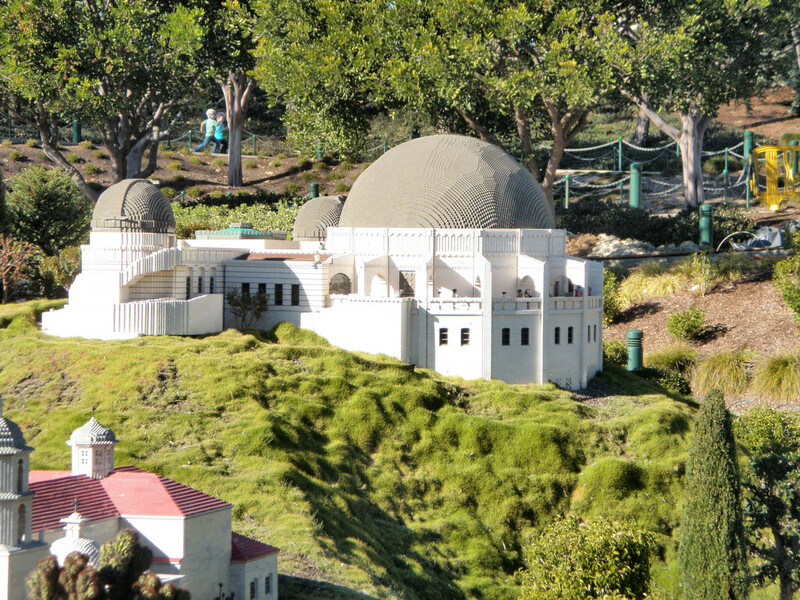 I was specifically interested in seeing Miniland USA as well as the Star Wars attraction. 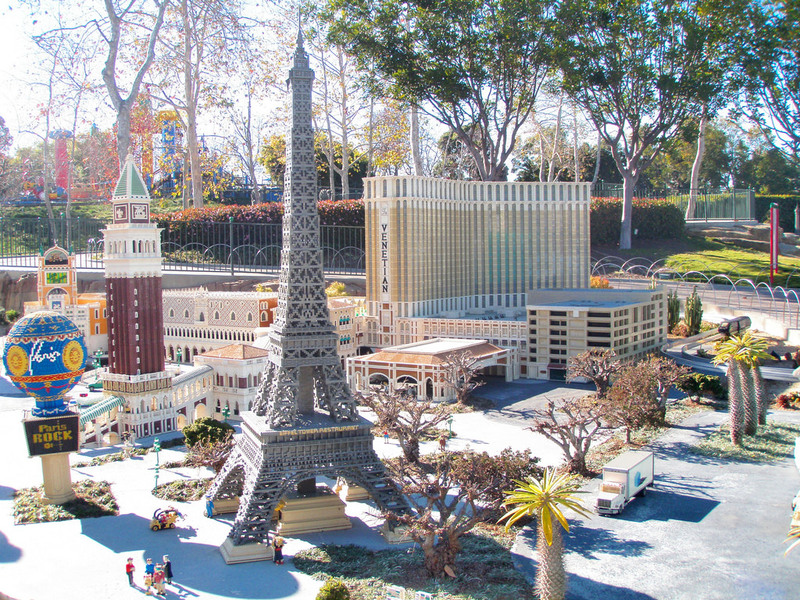 Miniland is a 1:20 scale of several hot spots around the United States. Probably the best represented is the Las Vegas Strip. 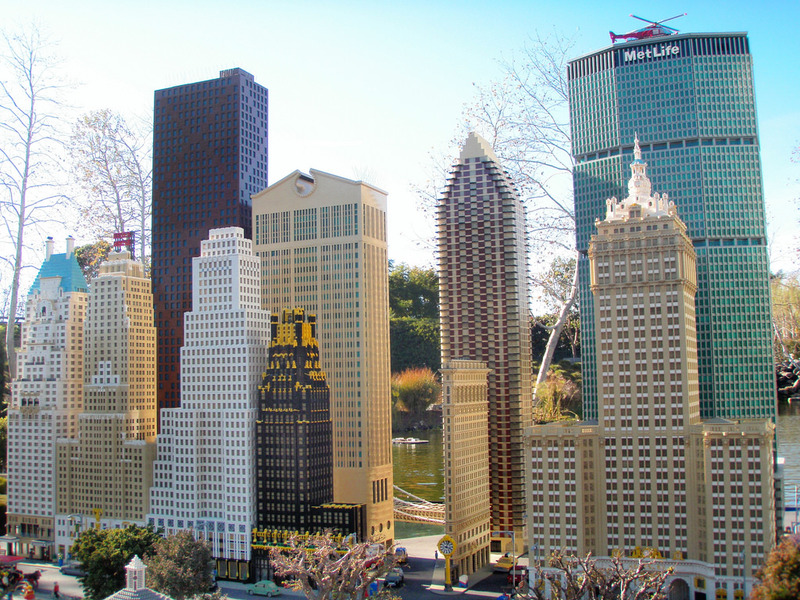 The Strip is recreated (quite accurately might I add) all in Legos. 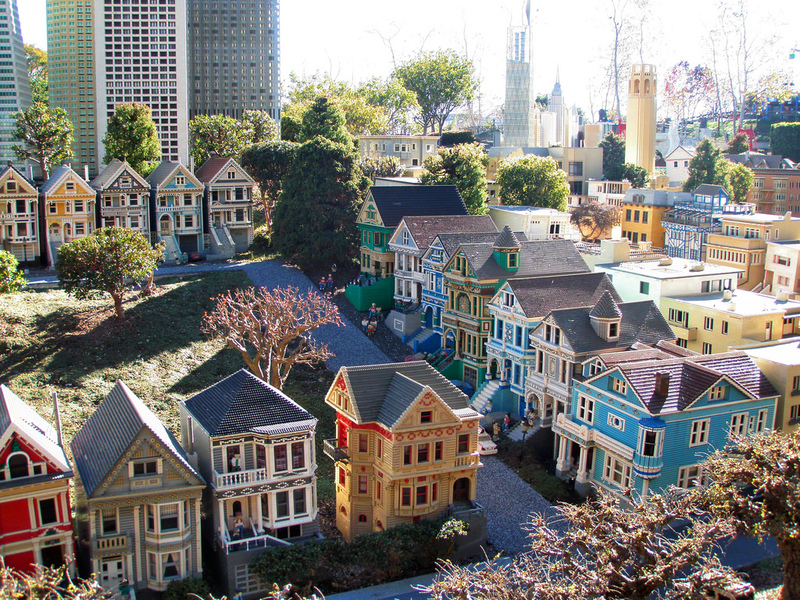 There were also spots around California, such as San Francisco and it’s famous “Painted Ladies”. And The Griffith Observatory in Los Angeles. We then “traveled” to New York to admire the tall skyscrapers. 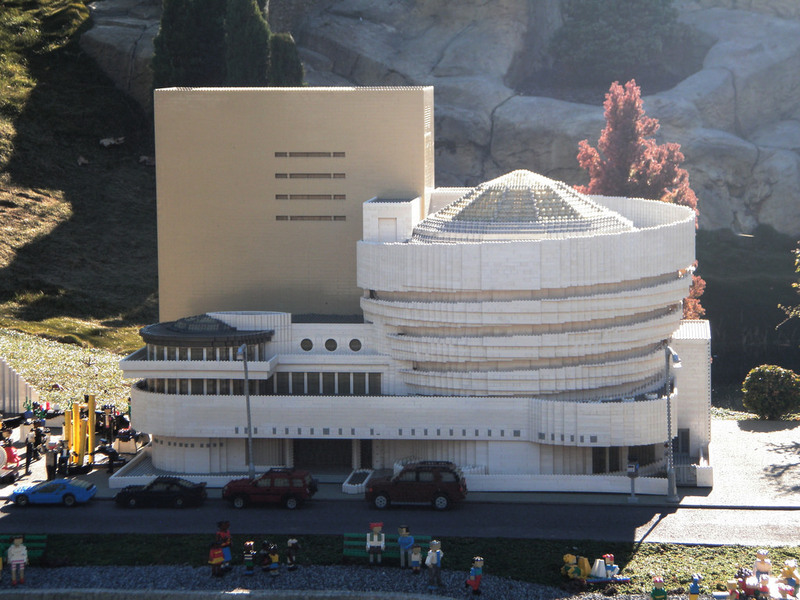 And of course I would spot a Frank Lloyd Wright designed building in the mix. 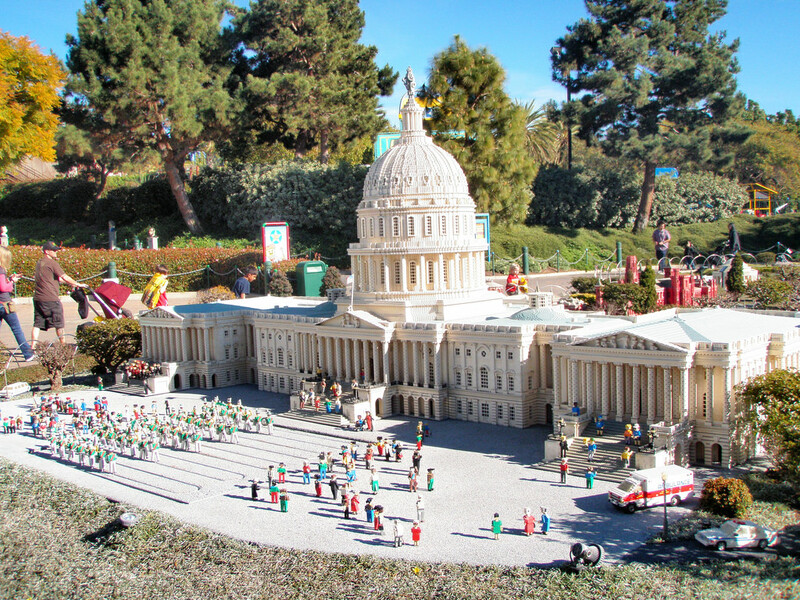 We moved on to our nation’s capitol with the Capitol Building. 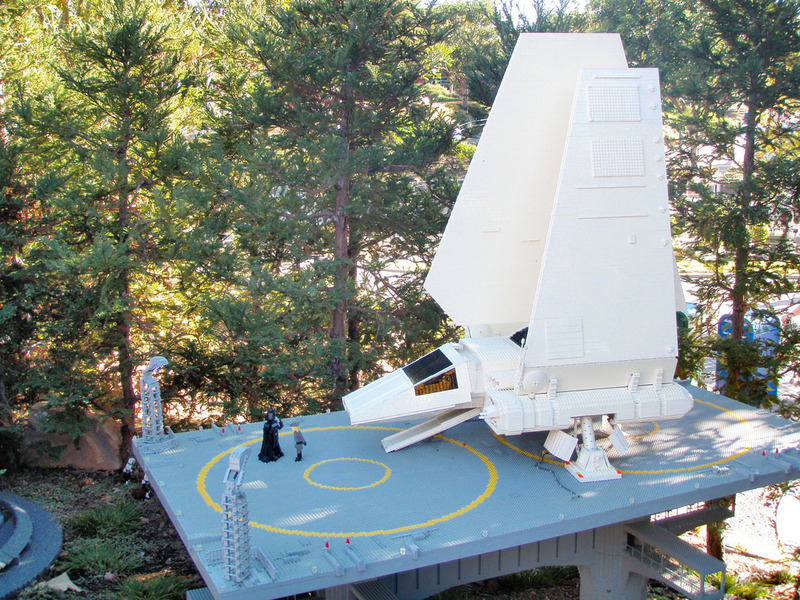 After taking in all the big city sites from around the country it was now time to move on to worlds of Endor and Hoth. And then this handsome devil…. 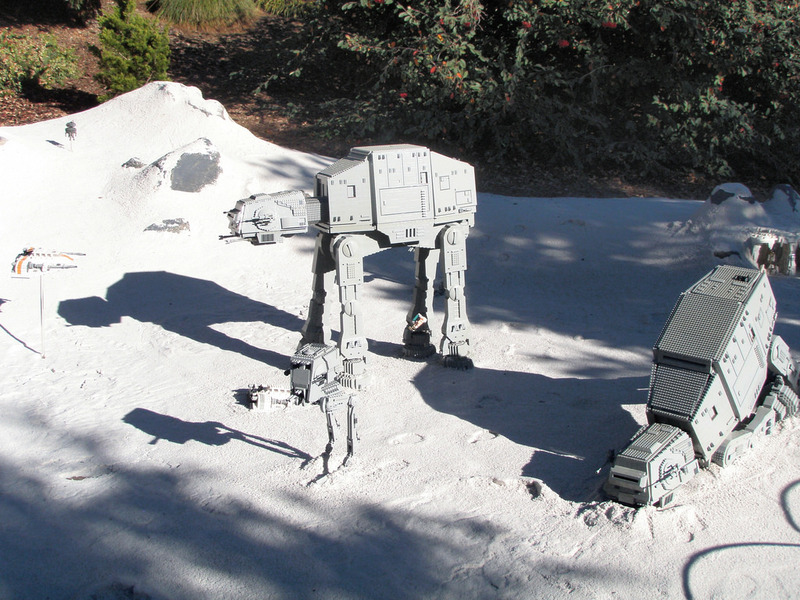 The park had several movie inspired displays. 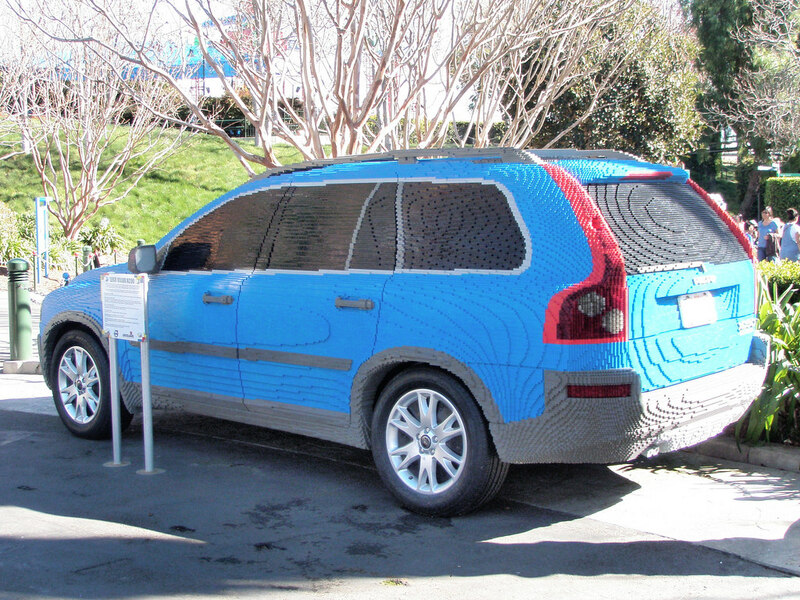 And check out this full size Volvo SUV made of legos. Although impossible, I would love to drive a car! We spent most of the day at the park and had a great time seeing all the different lands the park had developed. We appreciated all the hard work those Lego engineers took to design those attractions. 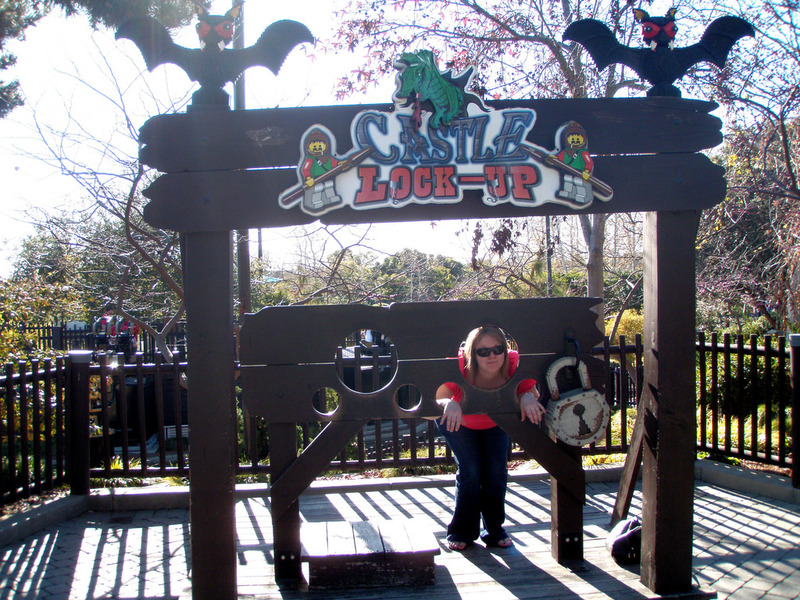 And I had so much fun that I had to be locked up! 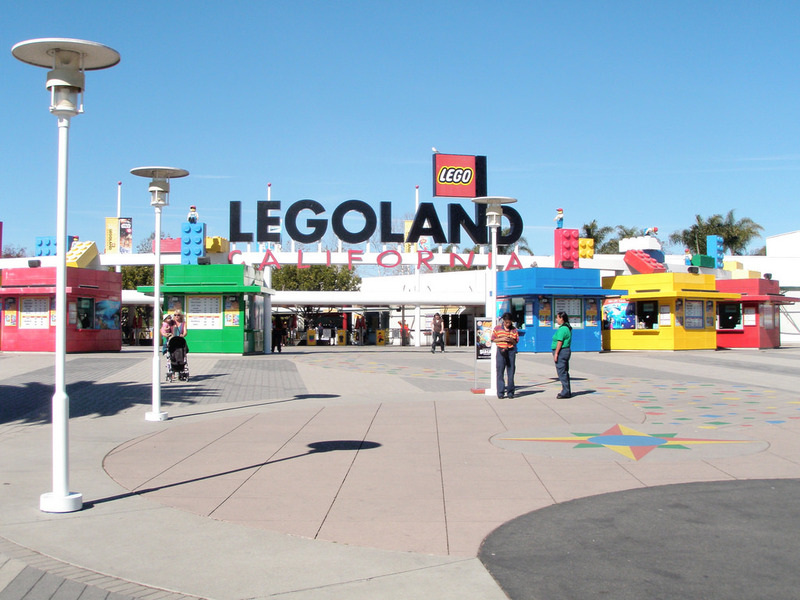 Legoland is located at One Legoland Drive Carlsbad CA 92008. Attached to the park is the Legoland Hotel, which looks to be quiet the experience with themed Lego rooms if you are looking to extend your stay. As for food there are several dining options inside the park but I recommend a short drive to a nearby In N’ Out Burger (5950 Avenida Encinas Carlsbad). Tagged legos. Bookmark the permalink. That looks like so much fun! It must have taken the builders hours upon hours to create it. I like the life size van, if I didn’t know better I’d think it was a real one. For sure – lots of time building all those structures. The car was cool – but I thought it was funny that they used real tires. Probably because it’s next to impossible to make anything round with legos! 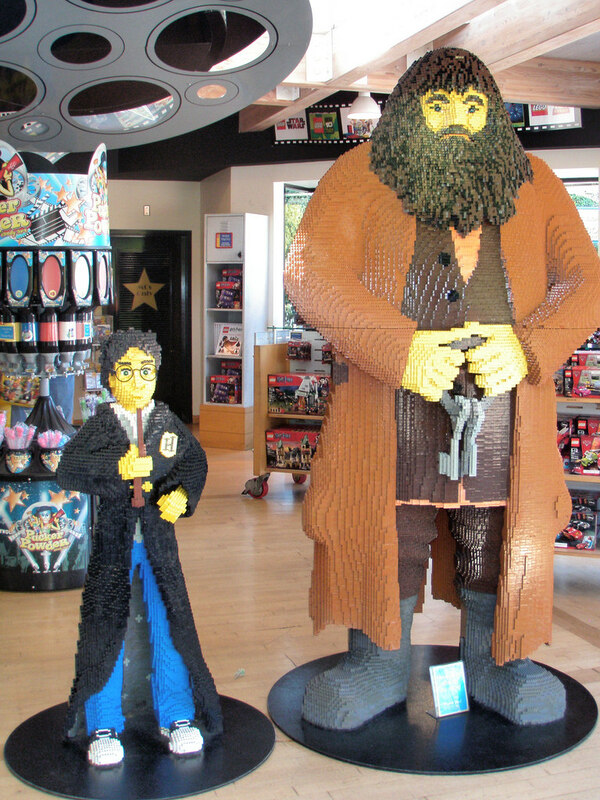 I love Harry Potter and Hagrid–cute! I was in LA last year and the only thing keeping me from visiting Legoland was the price of the ticket. 80$ is outrageous!!! I had to choose between Legos and equally expensive Universal Studios…but I’m glad I saw your pictures, it looks super cool! Yes it was an expensive day for sure. Theme parks usually are unfortunately. I can’t image if I did have kids and a husband – I don’t know how families afford it! I was just talking to some friends about Legoland last night. We live on the East Coast and couldn’t remember exactly where it was. It looks like fun- especially for my Lego-loving nephew. I bet he would have fun! There are lots of activities for the families to enjoy.